Delta Refrattari makes available to its clients the most extended and completed range of refractory materials produced today in Italy by Sanac, all the insulating materials and fibers produced by Morgan Thermal Ceramics in Europe and the best materials in the world for foundry produced by Allied Mineral Products in America. 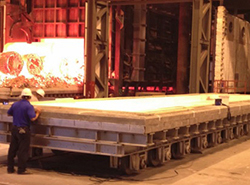 Delta Refrattari has designed and sold refractory solutions to the steel and foundry industry since 1984. Dedicated personal service, paired with leading edge tecnology makes Delta Refrattari the perfect choice for your refractory needs. 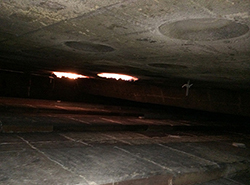 We come from 30 years of refractories experience on the field but we are amazed by the quality and performances achieved in foundry by many specialities of this American Company: 12 facilities around the world from this year are proving this. 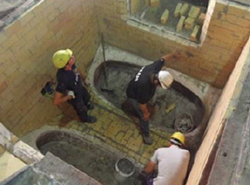 The first Italian producer of refractory materials and one of the best in the world. Absolutely the best value quality/price for products for the steel market and for forges and heat treatment plants. We have 30 years of history together. We have more than 100 ladles around the country lined up with this material and many of them passed one year of service with tens of thousands of tons of liquid metal transport. 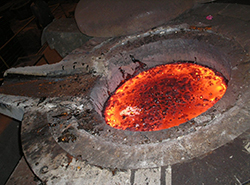 This product gives also wonderful results in the hearths of aluminum melting and holding furnaces like the one pictured here. VCAST® 707 is a low moisture, ultra-low cement, fused alumina-based castable designed for lining uppercase sidewalls, spouts, receivers, throats and floors : simply the best product for copper and alloys. 6 years are the minimum operating life we had till now and from January 2018 we have an uppercase starting its 8th year. DriVibe® LGS is the biggest advancement in silica based products since pre-blending of bond in the 1960s. First tests around the world gave a better result 20-50% increase in lining life. This product offers the following features and beneficts : reduced surface area, more effective and repeatable sinter, better particle packing, higher installed density, installs firmer, improved liquid sintering properties, better abrasion resistance at metal melting temperatures. Allied against Allied : in spite of the fact of continued success with core products DV® 681A, il DV® 682A ed il DV® 782A, Allied developed gen IV of DriVibes® (DV) vibratables. Benefits : reduced permeability (tighter hot face), decreased saturation depth, optimized MgO additions, changes in grain sizing and reactivity of materials, controlled sinter depth. The QUICK-FIRE® families of products are specially designed for uses in a wide variety of applications. This technology uses a unique liquid phosphate bonding system that translates into improved performance and faster turn-around times. Non Wetting Properties: The QUICK-FIRE® product line utilizes a multi-phase ceramic structure that developsexceptional non-wetting properties for molten aluminum. This bonding system reduces the amount of corundum transformation and integration into the hotface providing less build-up and easier cleaning characteristics. 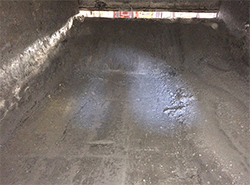 This product can also be used in the forges industry for car deck perimeter repairing. 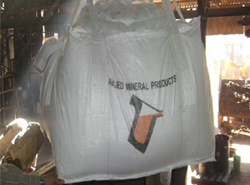 This is a corundum based low cement castable. Few words to say : simply the best product for continuous furnaces hearth. 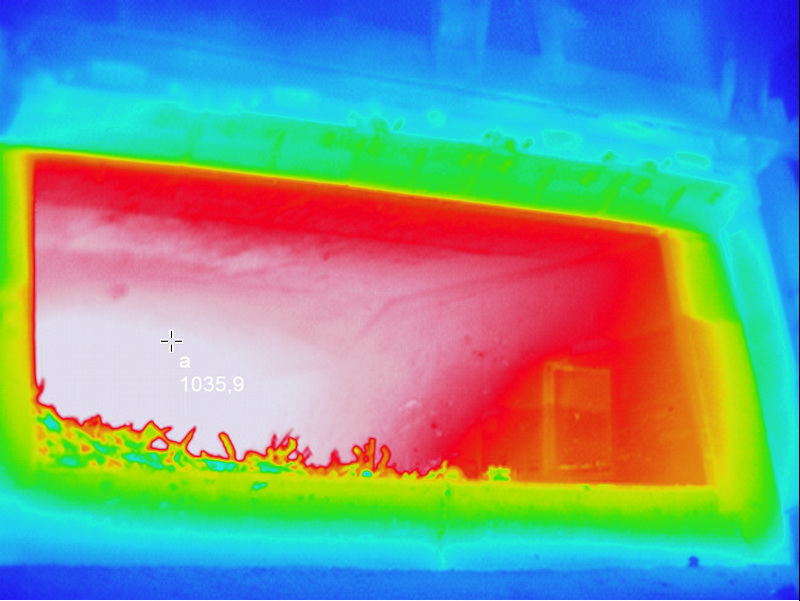 Walking beam furnace, pusher type, roller and rotary hearth : wherever we had a chance to test it, it performed better than any other competitor. L'Alocast VB 59 D is an andalusite-based medium cement castable designed for roofs and upper walls in continuous furnaces, aluminum furnaces and industrial application. 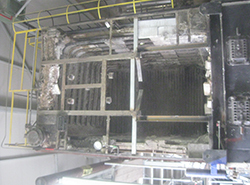 The excellent thermal shock resistance of the andalusite aggregate makes this an excellent material for industrial boilers like the one in the picture where 50 tons of material were installed by an Estromat 850 pump.